We are starting off this issue with a few pictures from earlier stops. 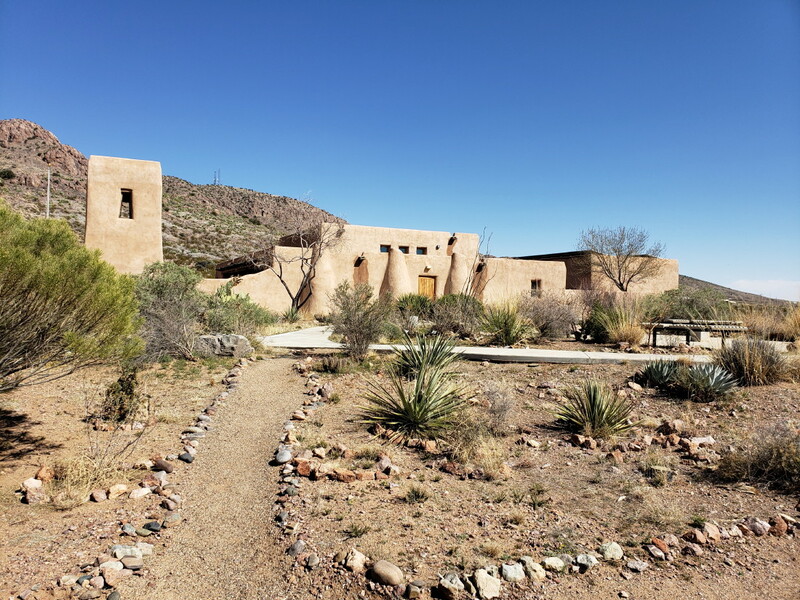 Above is a picture of the Visitor's Center at Rockhound State Park in Deming, New Mexico. One of the nicest centers at New Mexico state parks. The picture above and the one below is from a sign at Pancho Villa State Park museum. While quite humorous, it was not all that far from the truth. 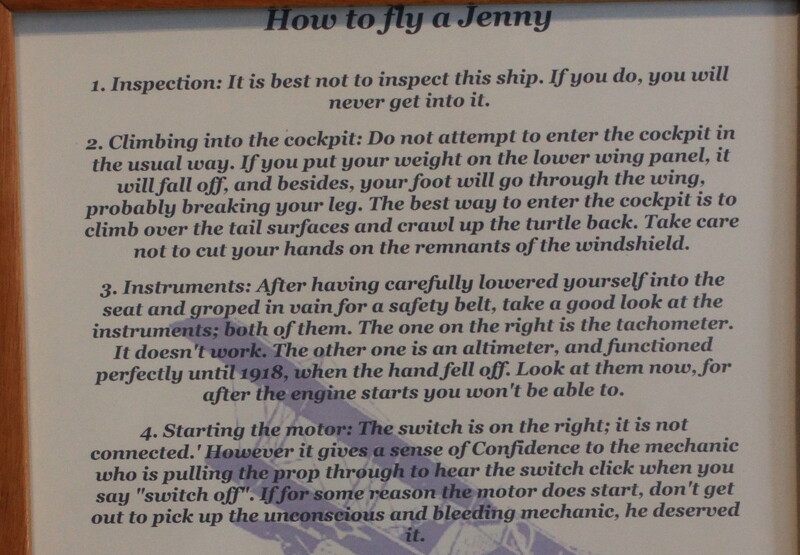 A tongue-in-cheek list of instructions for the 1916 biplane. 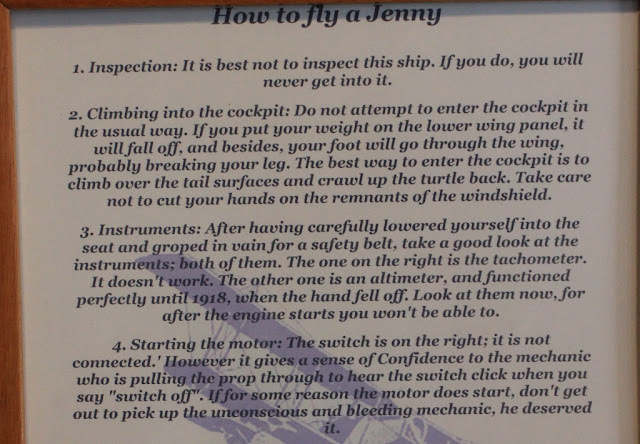 Below is a link to a video of a renovated Jenny . Still impressed that this was when Grampa was one year old(1916). These were the first planes of the U.S. military air force. Yet, by the time Uncle Bob was flying as a pilot in WWII and the Korean War, some 45 plus years later(Korean War), jets were invented and flying. 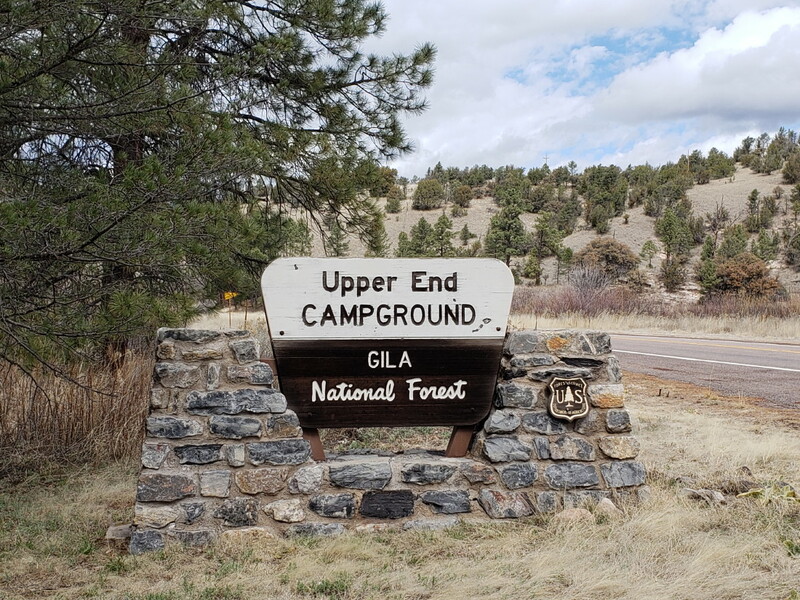 From City of Rocks State Park, we head northeast on Route 61 and then north on Route 35 into the Gila National Forest. In Mimbres we take advantage of 3 Questions Coffee House, Living Harvest Bakery. Great coffee, wonderful home made bread, and perhaps the best coffee roll ever. We heard from others who had visited that the family owners of the coffeehouse/bakery have Mennonite roots. Hence , the religious references on the following link to the bakery. If you scroll to the bottom of the web page, you will find an interesting writeup on their scientific approach to flour and baking. 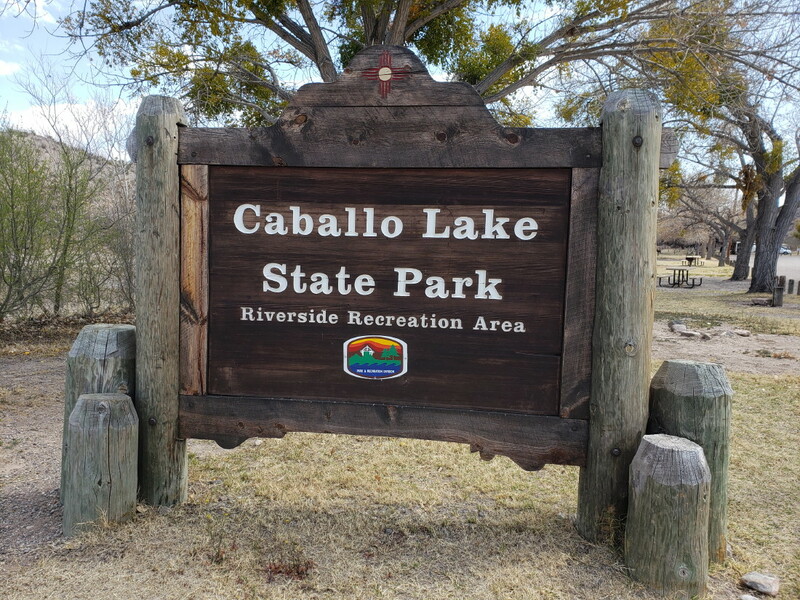 Another 20 miles on a pleasant country road following the river, and we are at Upper End Campground in the Gila National Forest , on Lake Roberts. Lake Roberts was popular for families fishing. 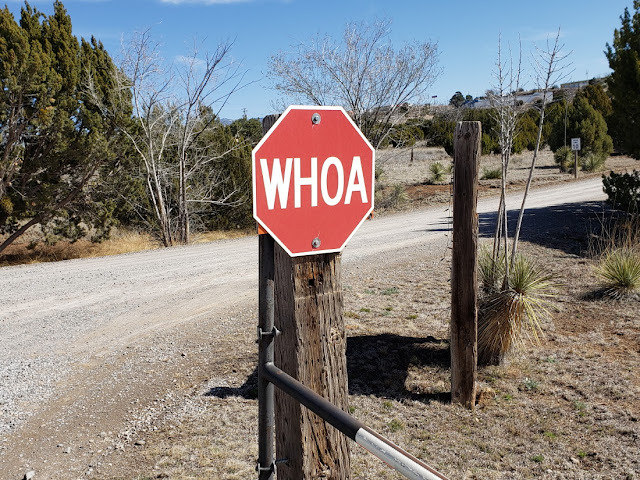 Also seems to be a stopping off point for people heading further up route 35 and 15 to the Gila Cliff Dwellings National Monument. We had seen a few very good cliff dwelling historic sites in previous years. So we skipped Gila this time. 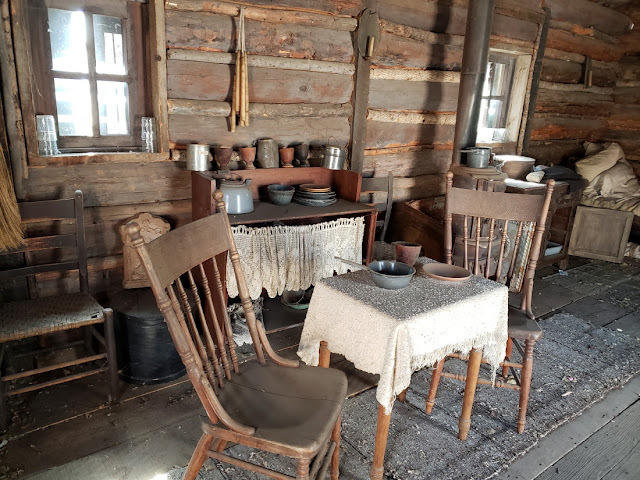 If we are back again, we will propbably visit. 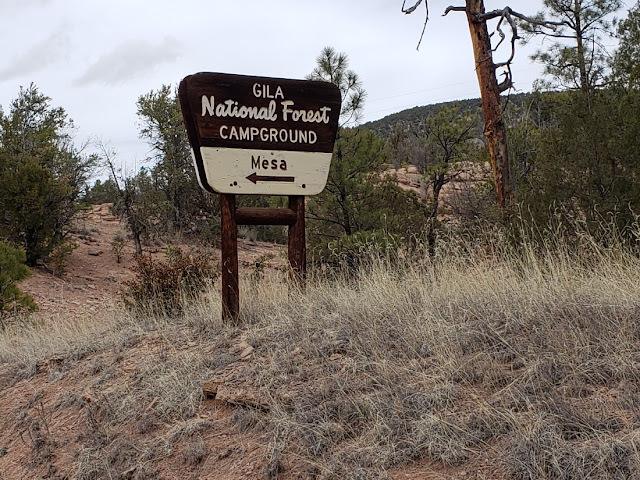 We walked up the road to look at Mesa campground. It did not open until April 1st. It also had a number of sites with electric and water. Sites at Upper End were dry camping. 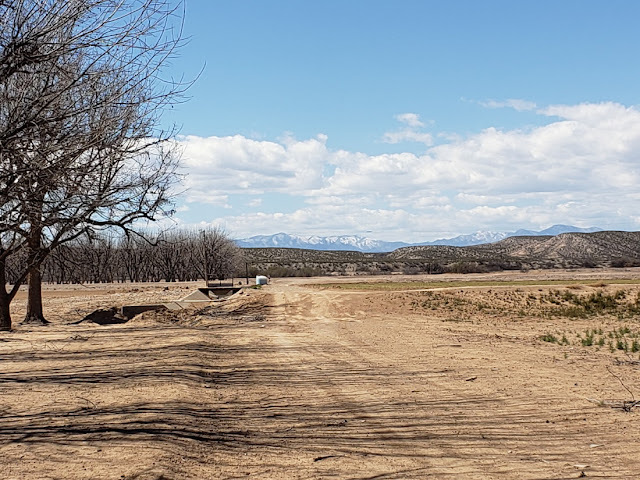 Jan and I head back down Route 35 to Route 152 and 180 towards Silver City. We always try to check ahead on apps to see what campgrounds we will visit. In this case Rose Valley Campground received top reviews. 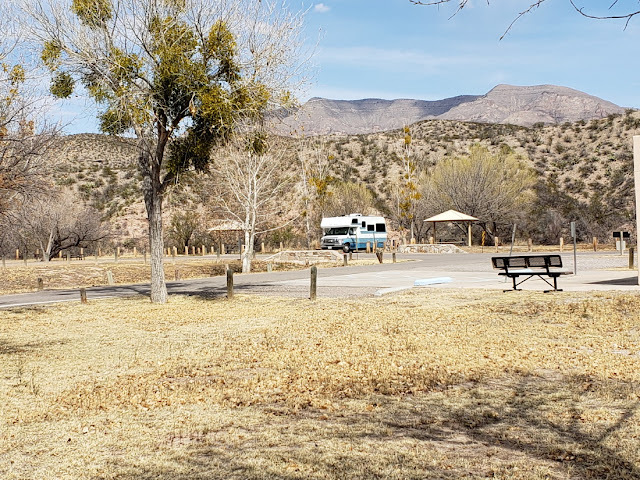 Even better, not only was it a wonderful campground with good privacy and spacing between sites, but it was a Passport America campground (50% off). Plenty of room for Lady Blue. The campground was a dairy farm before becoming a campground. Many items from the farm are used for decoration and privacy fencing. 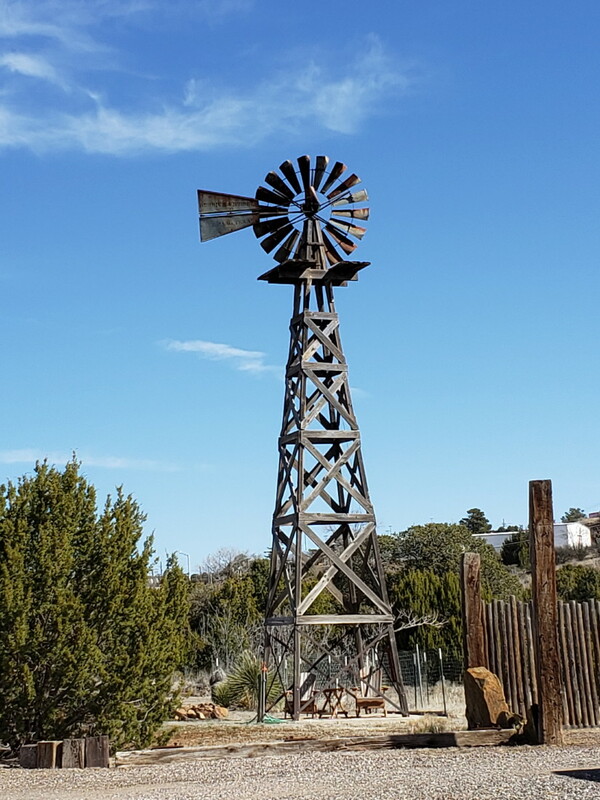 Even the windmill still stands. 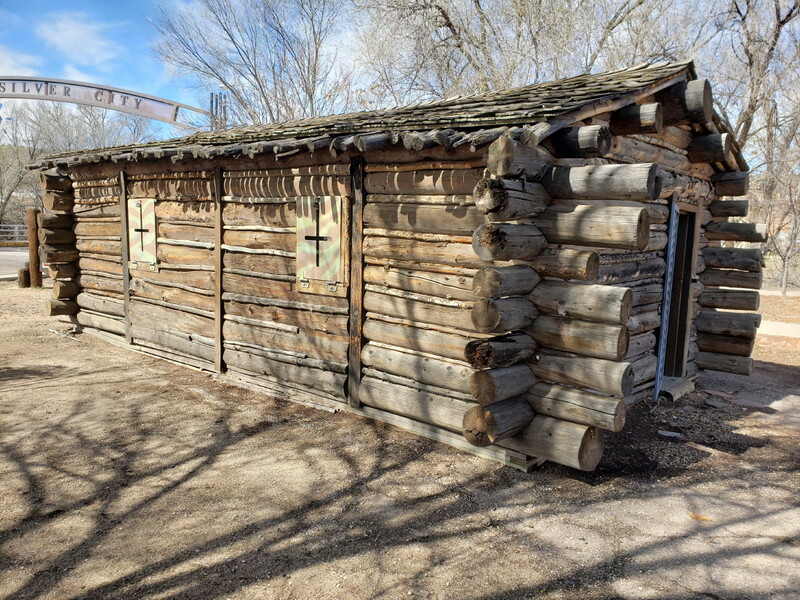 The campground is only a few miles from downtown Silver City. 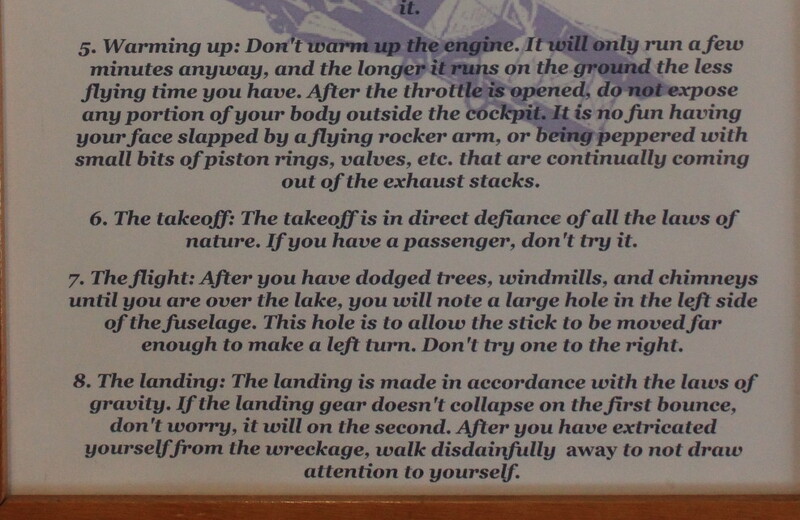 We chose to park at this lot which is part of the Visitor's Center. The vehicle above is an Earth Roamer. 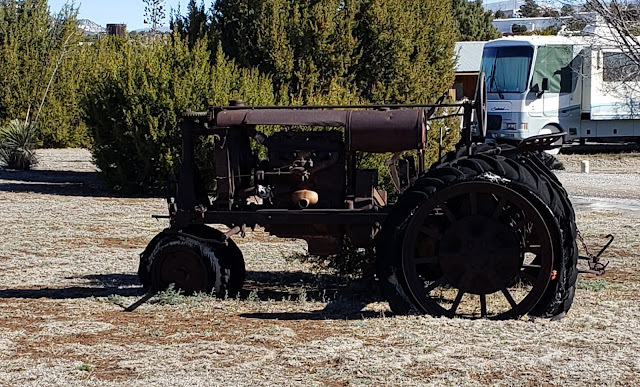 Note the winch and cow catcher grill on the front. Also a winch on the back . The Earth Roamer is a high end , luxury expedition vehicle. It is designed for luxury camping and overland adventure. 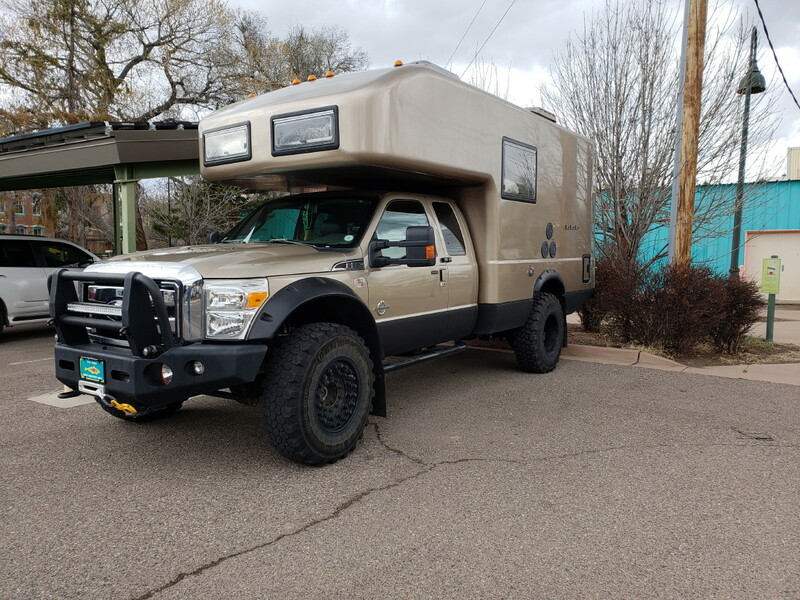 Think--go anywhere, safari, boondock, whatever. And luxury means just what you think---very expensive. However, take a look at this website, including the pictures of the interior of some of the models. Impressive!! Very high clearance. 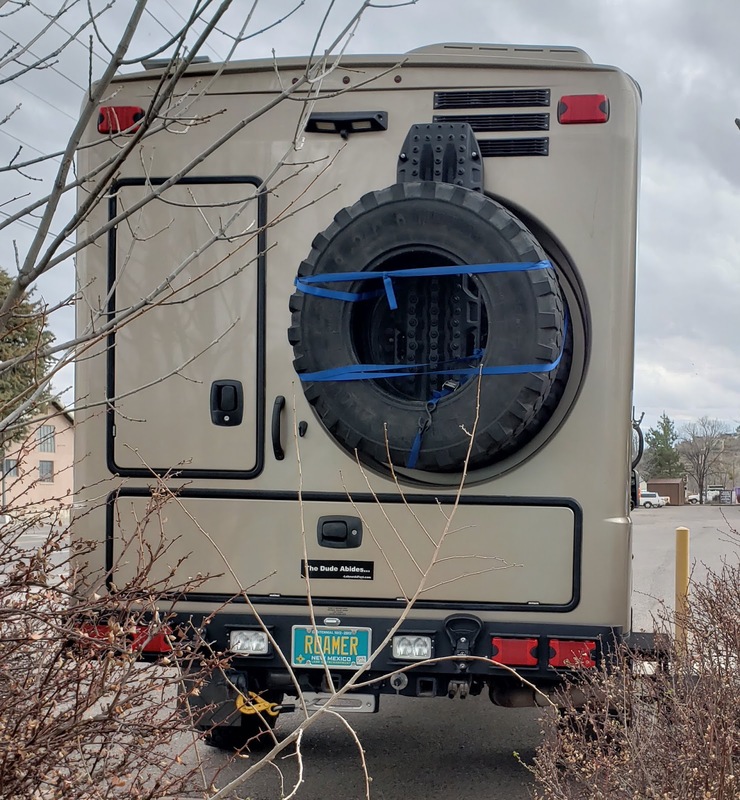 Huge off-road tires. Very clean exterior--nothing to catch on passing brush and trees. 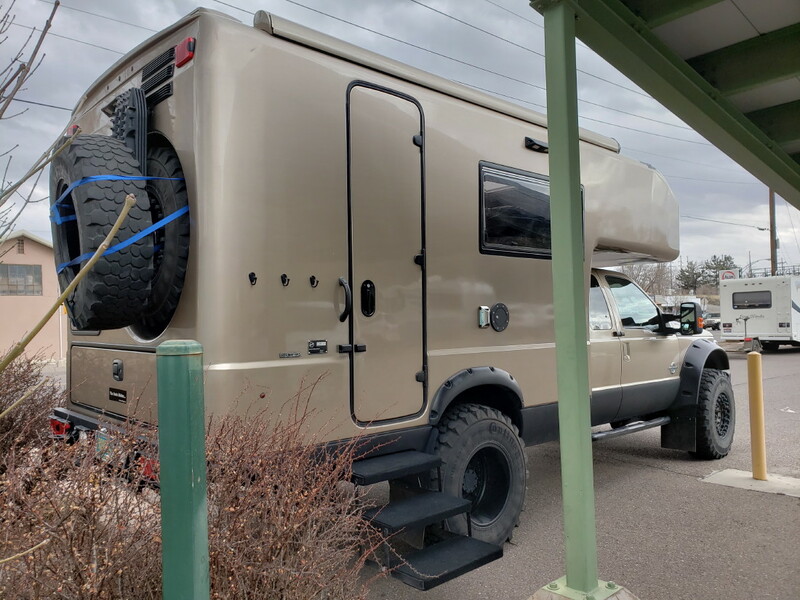 We met someone in Silver City who mentioned that they knew campers(this was at a local RV dealer)who came from Australia. They shipped their camper here and would stay in the camper and travel through various U.S. states. Then they would store the camper, fly back to Australia and come back the next year. Also a good time to remind our East Coast friends that the west is quite different. One of the reasons so many retirees come to the western , and especially the southwestern states, is that there is so much open land. 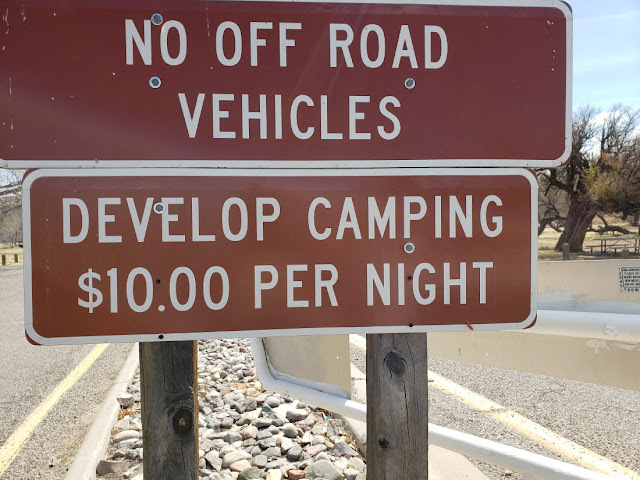 First the state parks are much less expensive than eastern campgrounds( in general).Also, many private campgrounds offer monthly rates that are much lower. 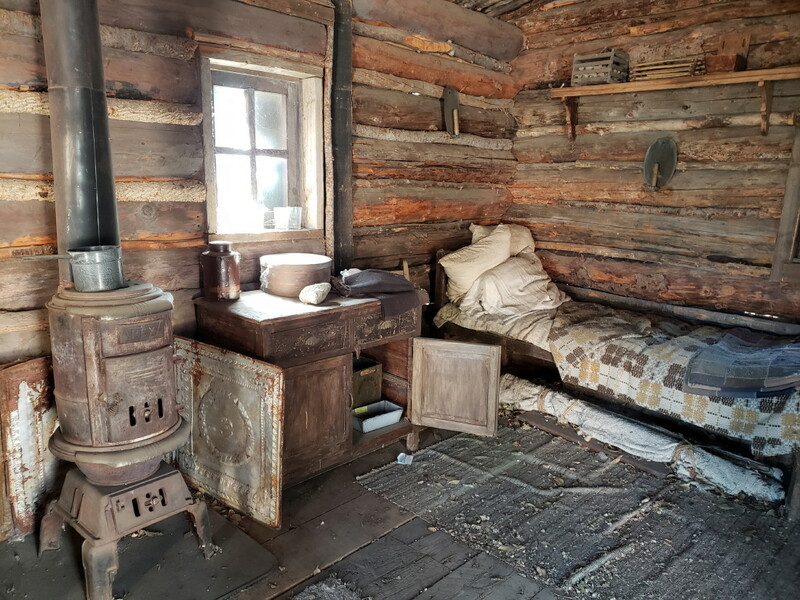 Beyond that, there are thousands of acres of BLM land where people can stay for free, whether in a small van, or a huge motorhome. Also, the west is home to many National Parks and National Forest Campgrounds that accept an America the Beautiful Senior Pass(half price camping and free admission to all National Parks). We have stayed overnight at National Forest and Recreation campgrounds for as little as $2.50 per night. 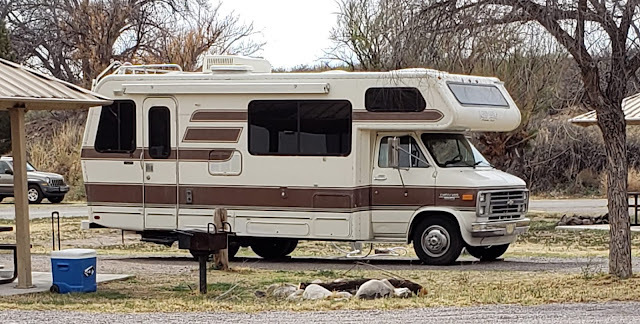 Here, in New Mexico, we see many different kinds of campers who have taken advantage of that one full calendar year state camping pass. Again- that one year is $225 for out of state residents and $180 for New Mexico residents. 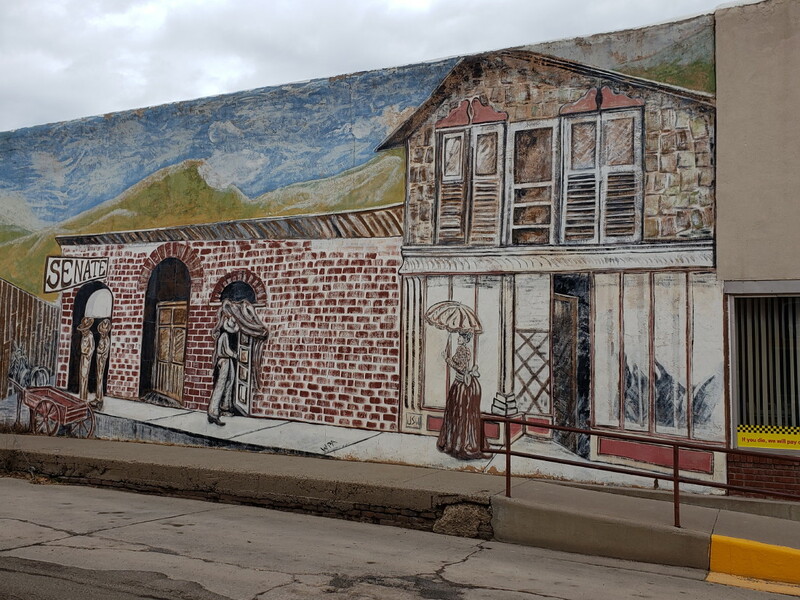 Silver City is another place that values artists murals on the side of buildings. A great find in an old used car lot. 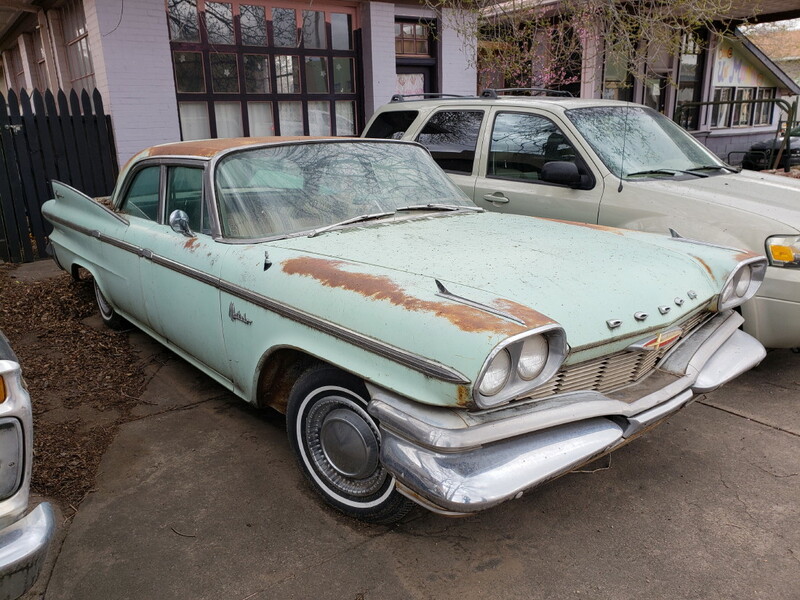 The link below will take you to a video of a restored 1960 Matador. A very New Mexican style store front. 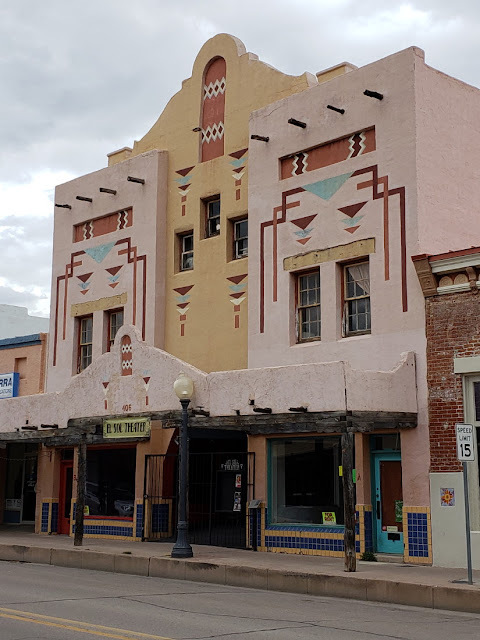 We always give credit to cities and towns that preserve their heritage of buildings. 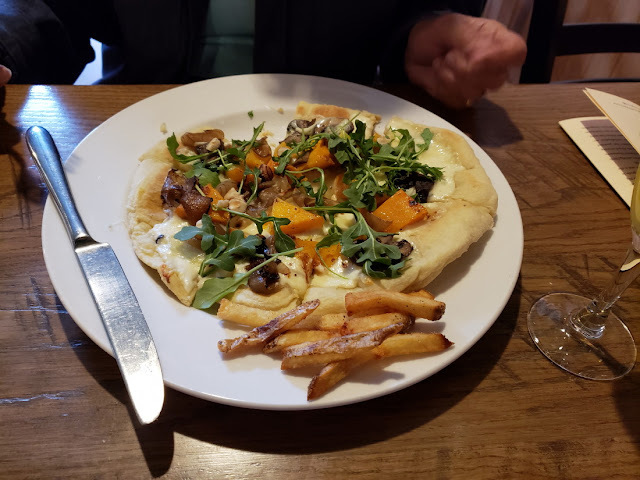 Jan loved this open face calzone at Revel, which is a Farm to Table Restaurant. Our waitress explained the local farms that provided the ingredients. When you look at the following link , note that the menu is constantly changing. Close by the Visitor's Center is this cabin reproduction --similar to that of Billy The Kid's family when they lived in Silver City. Knockin' On Heaven's Door by Bob Dylan , written for the 1973 movie Pat Garrett and Billy the Kid, was about Billy and Pat. The Grateful Dead, and Bob Marley, among others. 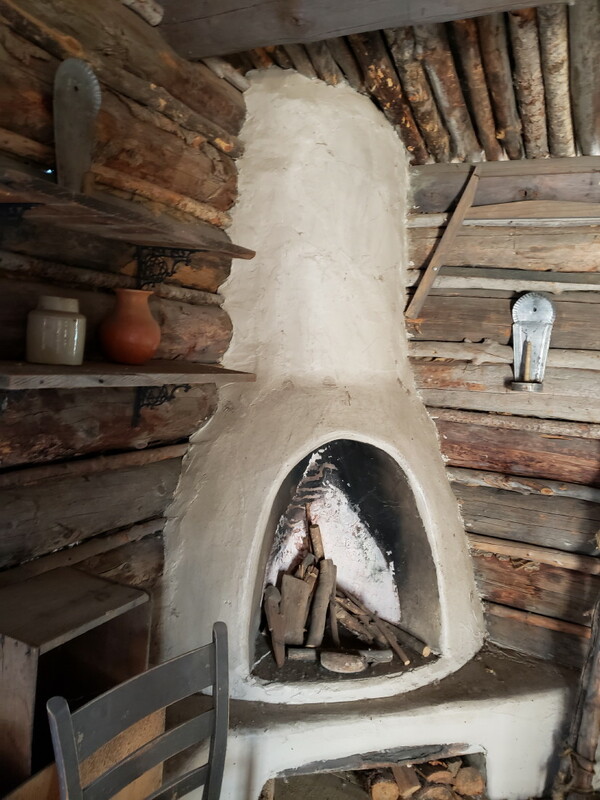 It was used in his 2003 movie "The Missing"
This is the first time we have seen this kind of fireplace in a historic cabin. Did anyone else have chairs like these? 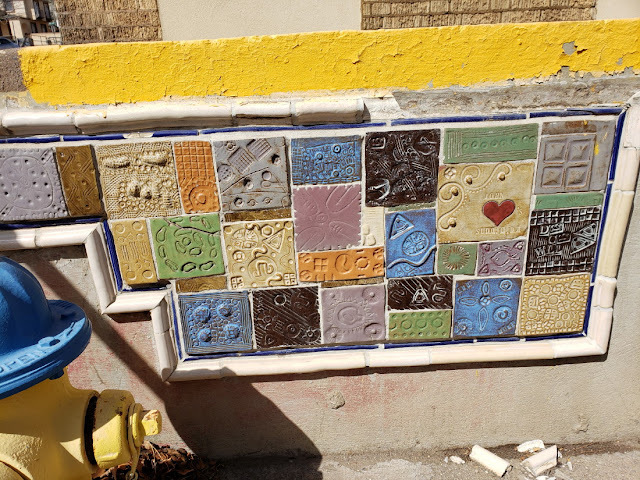 This is a large-full wall mosaic tile type of historic mural. The "CDT" is the "Continental Divide Trail"
We keep crossing the Divide as we travel in New Mexico. 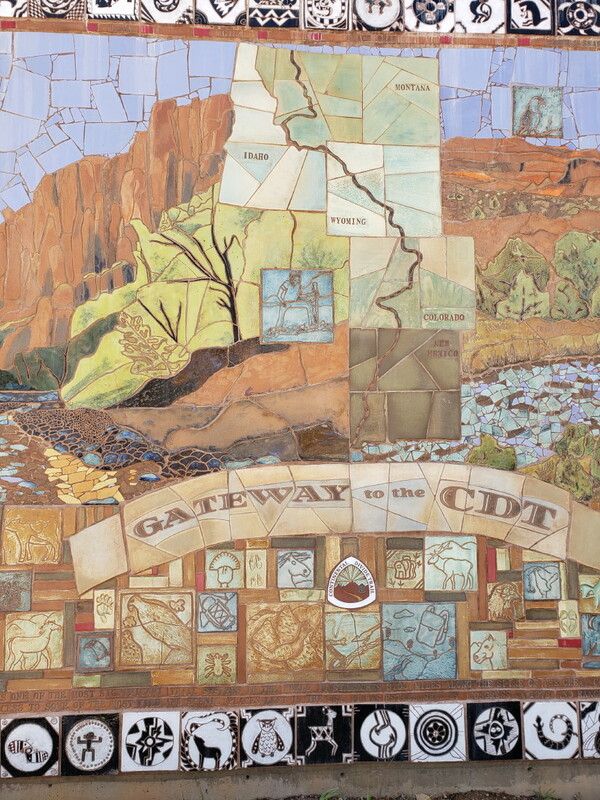 The mural shows the trail route from New Mexico through Montana. 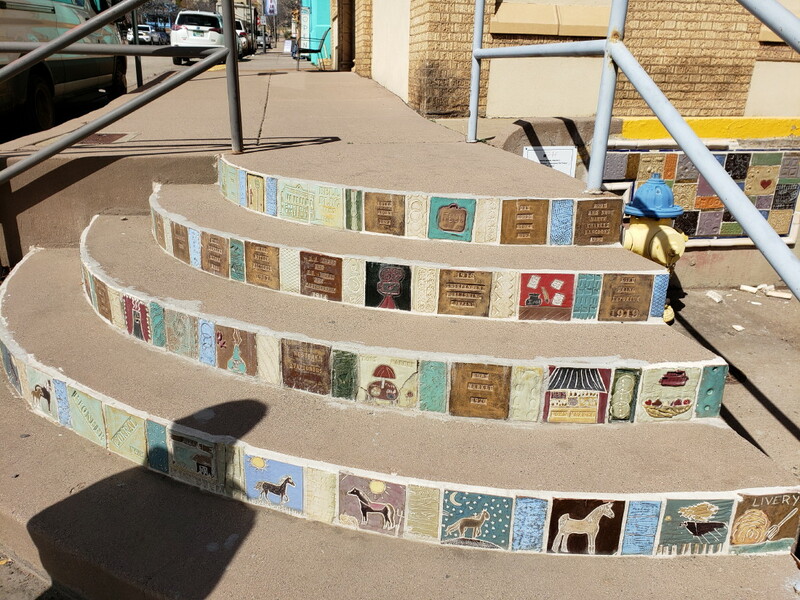 These tiles are part of a sidewalk in Silver City. All made by local school children. More of the same school children tiles. 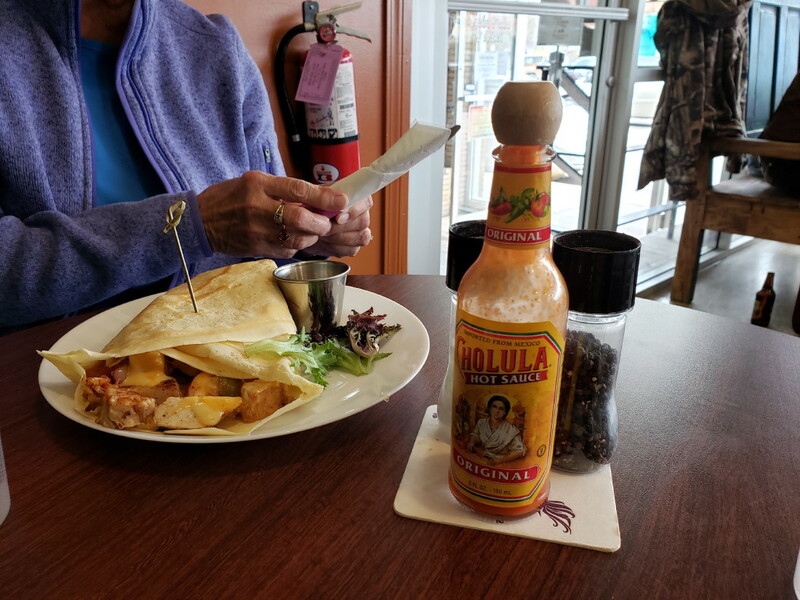 Another great restaurant stop in Silver City--on a different day. 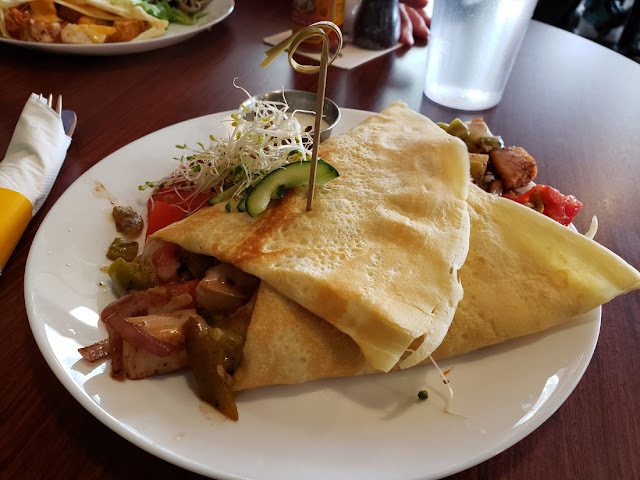 Crepes, Chompers, and Vietnamese fare. Jan had a Crepe Tom-Tom with turkey, gouda, béchamel, and tomato . Bruce had the Bahn Mi-a Vietnamese Street Sandwich, with pulled pork, pate, pickled vegetables, cucumber, fresh cilantro, Jalapenos with Sriracho mayo. Just north of Deming, New Mexico is a fairly new gas station. But, we noted a sign of the times. 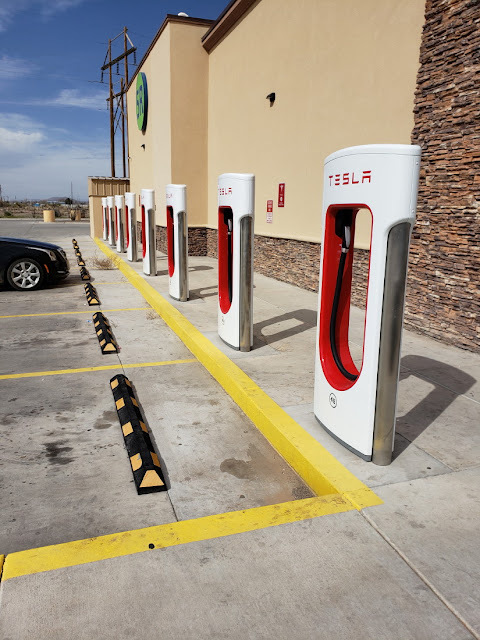 Above are 8 charging stations for electric cars. 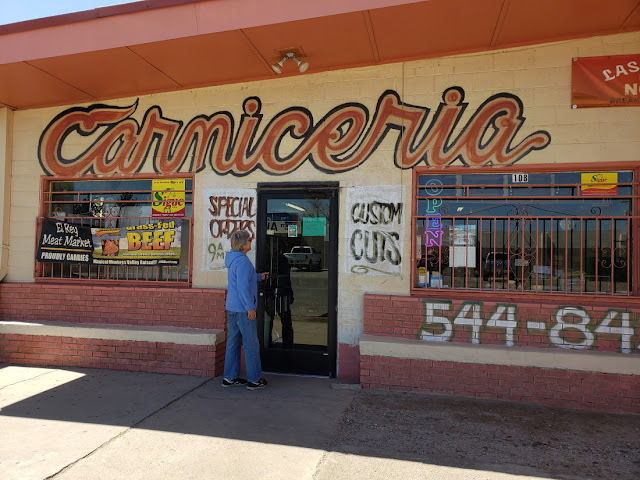 In Deming, we found this place just before Christmas. It was recommended online as a local meat market. El Rey Meat market is unassuming on the outside, but the inside display is great. Our new word for the time. 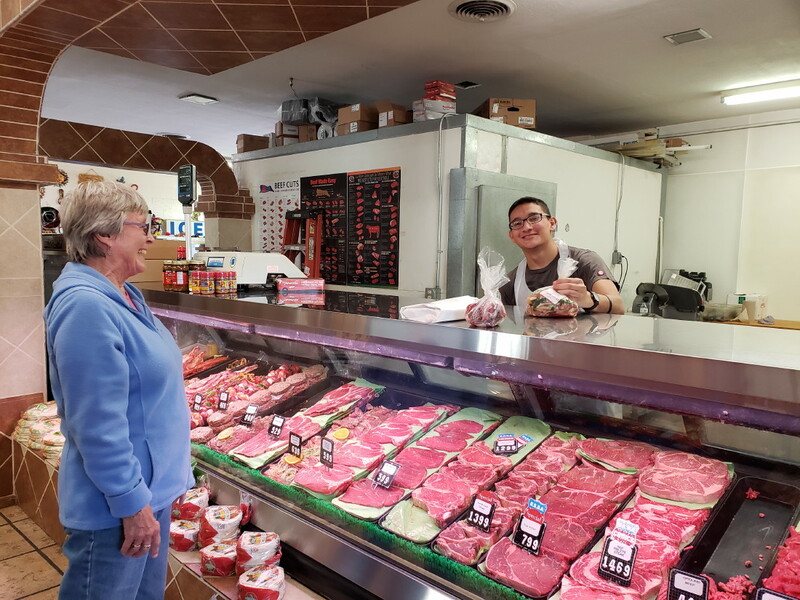 Great steaks on display--so we bought one. Good looking stew meat--so we bought some. And some prepared meat and veggies for fajitas. 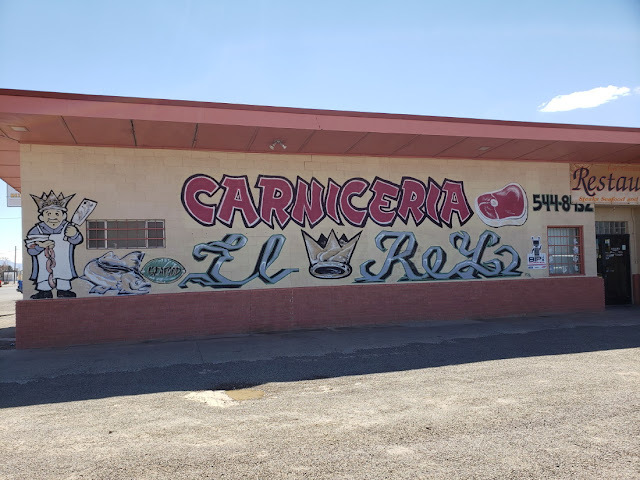 We had also stopped here back in December for a fantastic Rib Roast. 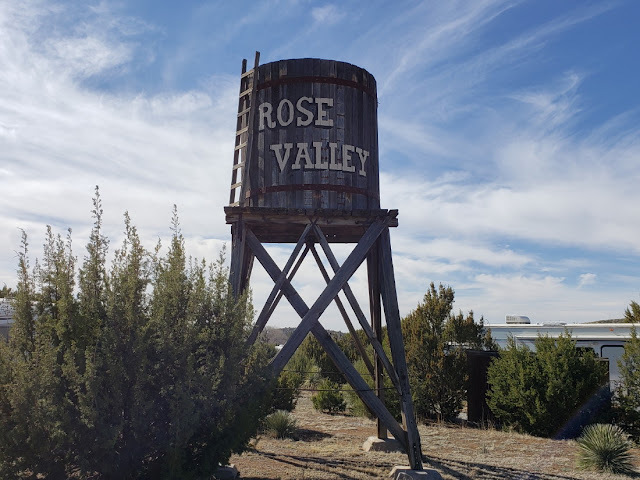 From Deming , we head east on Route 26(which avoids Interstate 10), Towards Hatch. From Route 25 , we went south , hoping to find a spot at Leasburg Dam State Park. But, no such luck. Every spot was taken and not likely to have any open for a while. Disappointing but we drive north on Route 25 to Percha Dam and find plenty of open sites -dry camping-no hookups. As a note, though, the electric sites here were mostly full too. As a reminder, Jan and I like to travel without reservations. That allows us to stay longer in some places, or just change our mind about our direction. It is getting more difficult though, because there are many more RVers now than when we started in 2005. As mentioned above, we came through Hatch, New Mexico which is the chili pepper capital. 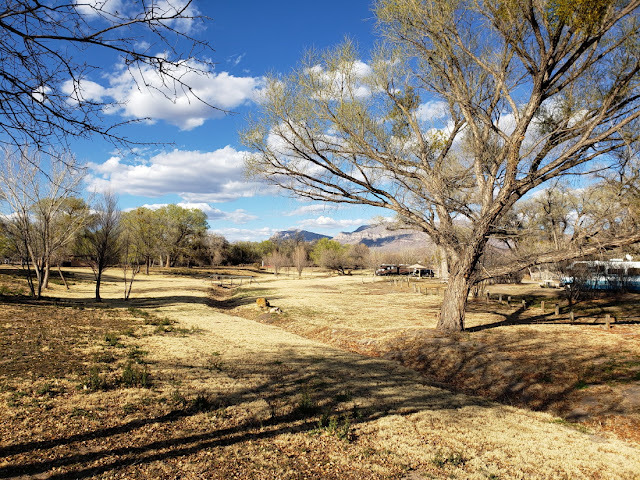 The Rio Grande flows through this area providing wonderful possibilities for farming. 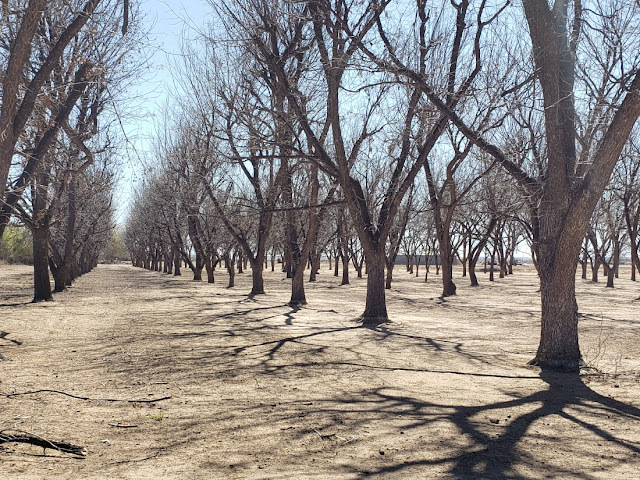 This also includes the pecan grove above. 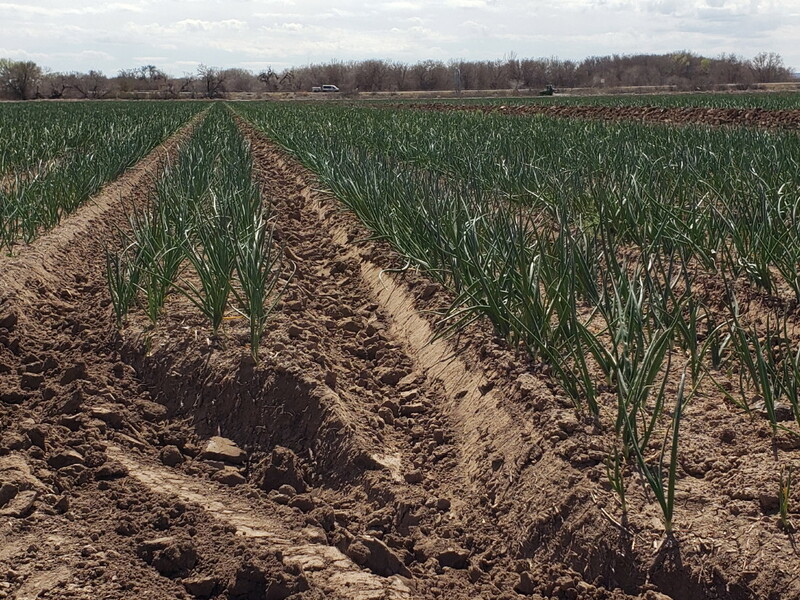 Just past the pecans are fields , just starting some young onion plants. The host indicated that the local farmers were harvesting corn and cotton in the fall. Also the area is well noted by photographers for catching pictures of Sand hill Cranes in October. From Percha Dam we follow Route 25 north to Caballo Lake. We thought we would be looking for a site in the main section where we had stayed 6 years ago. But , since we have the 4 solar panels this year, we went looking at Riverside Recreation Area. Great dry camping site. They call the dry camping spots "Develop Camping" which is a little confusing. But , they are developed sites--just no electric or water hookups. 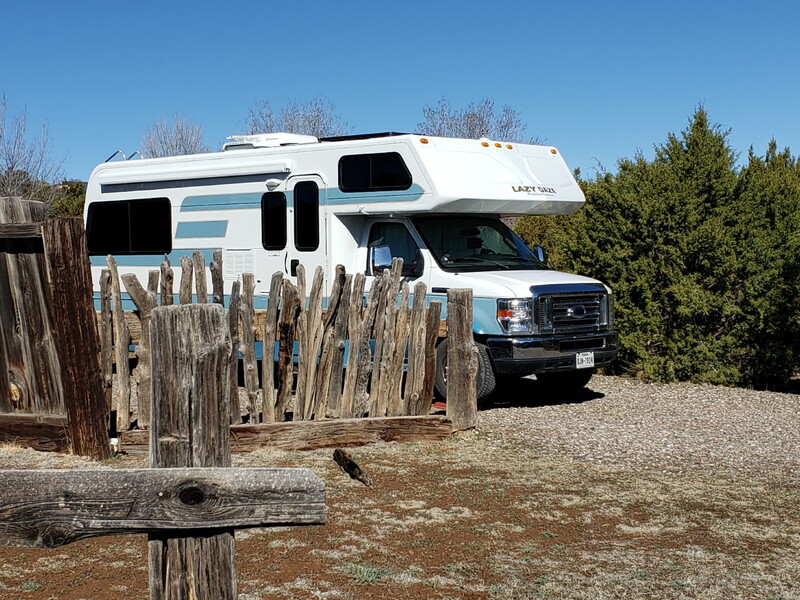 Instead of $10 per night , we have our New Mexico Annual Camping Pass. So, the site is already paid. 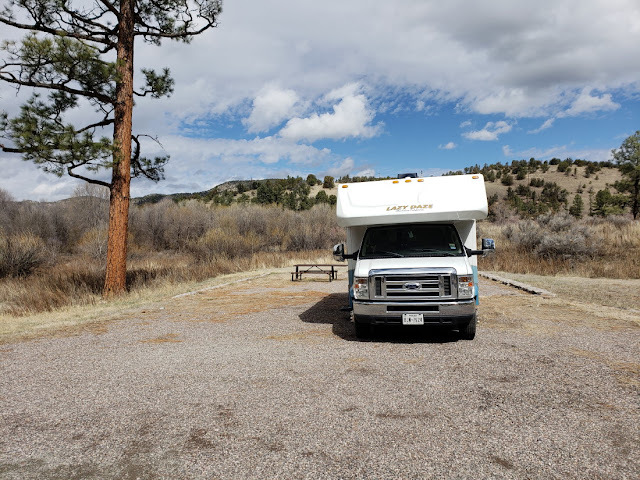 We are also at the break even point of 22.5 nights, since the cost of the full calendar year pass was $225 for out of state campers. As of this writing, we are now camping free. Some great views of the Caballo mountains. Behind Lady Blue runs the Rio Grande. To the left is the local dam. Had a chance to talk to the owner of the above Lazy Daze. She indicated this was a 1987 22 foot model. Another field of onions. These are a few weeks further along.